Let’s talk about stir fry. 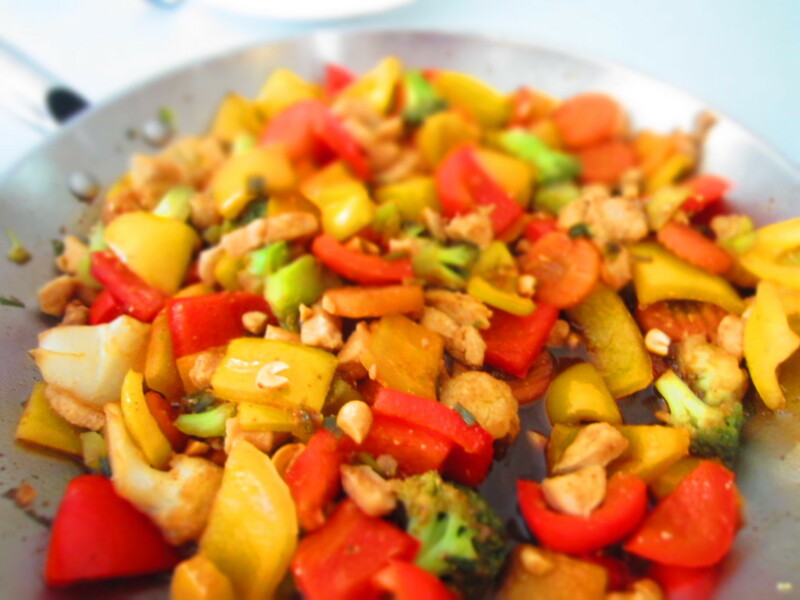 I love stir frying chicken (or pork…or beef) and vegetables. It is very often a “go to” meal for me. I have found for many people though, it doesn’t seem to have the same appeal. Then they tell me about their recipe or I taste their version of it and I can see why…it simply tastes like soy sauce, probably because that’s all they put on it. A good stir fry goes WAY BEYOND the soy sauce people! If you are only putting soy sauce in your deliciously stir fried dish, stop, just stop! The plain chicken and veggies would probably taste better. If you are wanting to experiment on your own I have a few tips to help you bring your stir fry beyond the soy sauce. Soy sauce is a great base! It’s in all of my stir fry recipes. But here are some fabulous add ins to kick it up a notch! Honey or brown sugar: There needs to be something to balance out the salty in the soy sauce. I’ve tried more sweet things than I thought possible to try to give it balance, and it ends up honey works the best. If you don’t have honey, brown sugar is the next best thing. I typically go half and half here. 1/4 cup honey to a 1/4 cup soy sauce. Add some spice: Adding a spice can really add depth the the flavor of any dish. When dealing with a stir fry give it something more than the expected soy sauce flavor. Some simple add ins would be GINGER (I capitalized this because I’d say it’s essential, fresh ginger is best but you can use ground as well), black pepper gives it a fun pop, and lastly a dash of chili powder will do wonders for your dish. Garlic and Onions: the life blood of cooking. Let me say it again, garlic and onions! You can NEVER have too much garlic in a stir fry, believe me, I’ve tried. The fun part about onions in a stir fry is that you can do your regular onions or for a flavorful twist, green onions…(or both, which I’ve done, and it’s delicious). Try Something New: Don’t be afraid to add a variety of vegetables that you haven’t tried before like corn, snow peas, or zucchini. Add peanuts or cashews to give it a crunch. Add some sesame oil for yet another depth of flavor. Stir fry is a great dish you can change up and make any time of year with whatever vegetables are in season. So beyond the flavor, it’s a pretty practical meal to make! What are some of your favorite things to do with a stir fry?